Hello! Happy Sunday! I have one last C.C. Designs preview for you today! It's the set Sugarplum Snowmen, and it's another one that I'm in love with! In addition to Christopher building a snowman, there's an ice skating Olivia and some adorable snowpeople! I used some retired SU! 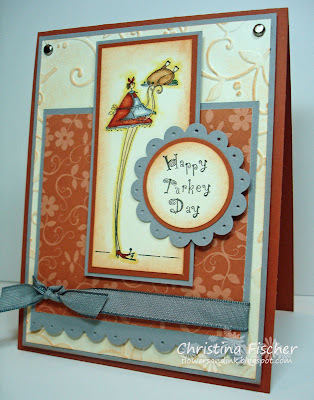 paper on this card -- I just love the olive, blue and brown together! I added Stickles to the ground line and to the felt snowflakes. Be sure to stop by the ATS Blog to see some adorable samples with this set, and find out how you can win it! All of the new sets will be available tomorrow (Monday) night at 10:00 EST at All That Scraps. We'll be chatting in the Member Forum before the release, and we'd love for you to join us! Now, for the Sunday Supper recipe! Today's recipe is one of my favorite appetizers, perfect for holiday parties or Sunday football games. In medium size pot, heat chicken and hot sauce. Add Ranch dressing and cream cheese, and stir until hot and creamy. Transfer to a medium crock and top with cheddar cheese. Serve with tortilla chips, corn chips, or celery. Hello, everyone! I hope your weekend is off to a great start! I gave myself a "day off" yesterday to spend time with my family. We watched Christmas movies and did a little house cleaning in preparation for Christmas decorating! So, I have two cards to show you today, both made with new C.C. Designs sets. 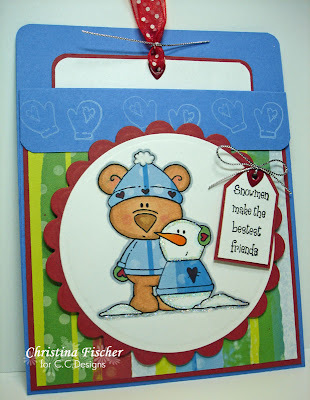 The first one is a pocket card I made with the set Winter Bear. This set almost didn't happen -- Christine was going to release the images as digi images, but as soon as the DT saw them we begged for rubber!! I'm a sucker for snowmen, so this set just might be one of my favorite CCD sets yet! :) I colored with Copics and paper pieced the hat and sweaters. There is Stardust Stickles on the snow and white Fun Flock on the hat pom pom. 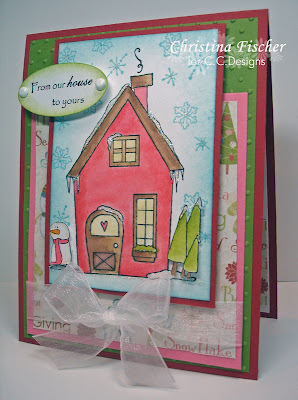 This second card was created with the set Sugarplum Snowy Scenery. I stamped the house and watercolored it with an Aquapainter and inks. I stamped and watercolored the snowman and trees, then I cut them out and mounted them on dimensionals. I added Stardust Stickles to the snow and on the snowflake centers -- this card is really sparkly IRL! I finished the inside of the card with a sentiment from Christmas Verses by AmyR Stamps. The verses in this set are just beautiful! Don't forget to visit the ATS Blog to see more samples of the new sets and to find out how you can win them! I'll have one more preview for you tomorrow along with the Sunday Supper recipe. All the new sets will be available Monday at 10:00 pm EST! Thank you for visiting today -- I always appreciate it so much! Have a fantastic day! Hello! Happy Thanksgiving Day to all my American friends! 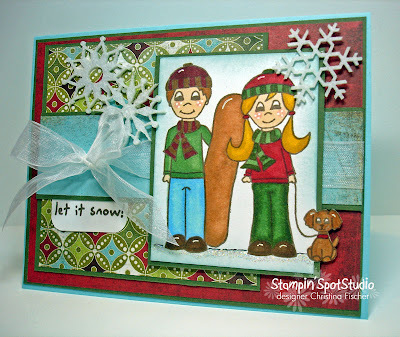 Today I have a preview of the new sets by Jen Ofiana's Stampin' Spot Studio -- Snowboarding Brandon and Wintertime Sadie and Pepper. I used both sets on this card. The layout is this week's SCS Sketch Challenge. I stamped Sadie, masked her, then stamped Brandon. I colored with Copics, and I cut the image panel so that Pepper was "out of the box." I sponged around the edges with Soft Sky ink and added some Stickles to the ground line I drew. 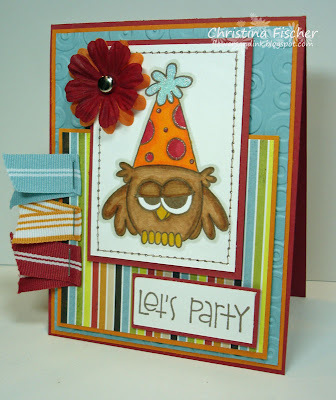 Stop by the All That Scraps Blog today to see more samples of Jen's new sets, and find out how you can win them! All the new sets will be released Monday, December 1 at 10:00 pm. I'll have more previews of the other sets over the weekend, so be sure to stop back! I found this paperboard star ornament at Michaels sometime last year and never got around to altering it. It was the perfect base for my ornament. I covered it with paper from Flair Design and sanded the edges. 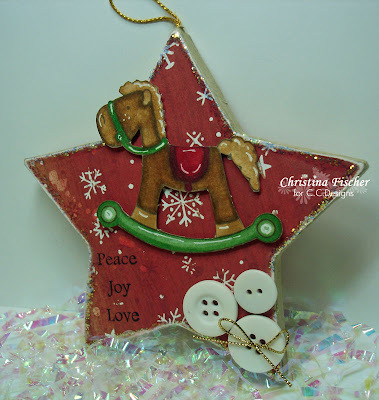 I stamped, colored and cut out the rocking horse from Sugarplum North Pole by C.C. Designs, and I mounted it on dimensionals. 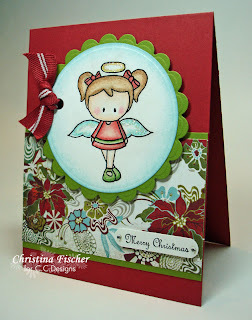 The sentiment on the bottom is from Christmas Sentiments by AmyR Stamps. I embellished with a trio of buttons, gold cord, and some Icicle Stickles around the edge. We'd love to see your ornaments, too! Use keyword ATSDTC28 when uploading. Be sure to upload to the Wednesday Challenge Gallery at ATS, because Christine and Amy are always on the hunt for guest designers! :) The Design Team challenge projects will be on the ATS Blog later on today -- check them out if you get a chance! A Color Challenge and More Exciting News! Hello! Happy Tuesday! Here is my card for today's Color Challenge at SCS -- Going Gray, Really Rust, and Very Vanilla. The image and sentiment are from a cling mounted set by American Art Stamp. I colored with Copics and sponged around the image and sentiment with Really Rust ink. I also sponged Really Rust over the embossed background to make it pop. I pierced the scallops for a little extra texture. Now, for my exciting news! I am now a member of the American Art Stamp Design Team!! Michelle announced it on the AAS Blog today, so I can now tell all of you! 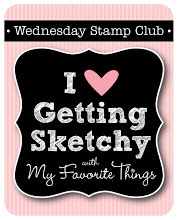 I am truly humbled to have been chosen -- the team is full of some of my stamping heros! :) I'm so excited to be able to share the fun AAS images with you -- I hope you'll love them as much as I do! Hi there, everyone! Happy Monday to you! 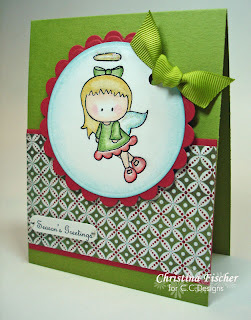 I have a card for today's MFT Who's That Girl Monday Challenge. The challenge is to use the set Nature Calls, and to use scraps of patterned paper. I had plenty of scraps of my beloved BasicGrey Figgy paper, so of course I used 'em! 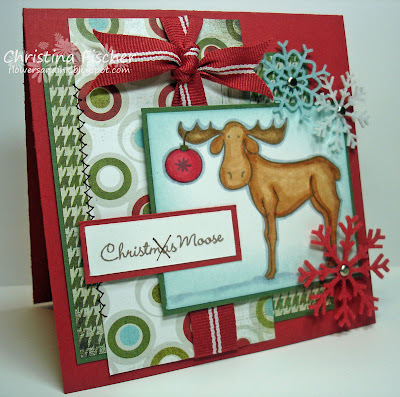 Well, I decided to turn the moose from the set into a Christmas Moose! I used the ornament from another MFT set, Merry Christmas, and I hung it from his antler. I also had a little fun with the sentiment. I inked up part of a sentiment from the set Merry Christmas, then I crossed out the "mas" and added "Moose" from What's Your Sign?. I colored the image with Copics, and I sponged the edges of the image panel with SU! Soft Sky ink. I did a little machine stitching and embellished with ribbon and SU! Felt Flurries snowflakes. I have some exciting news to share with you! Kim van der Sanden, the MFT Lady herself, asked me to be part of the MFT December Design Team! Some members of her DT are taking December off, so she needed someone to show off the December sets! I couldn't be more honored or excited!! Check out Kim's announcement on SCS HERE to see which talented ladies I'll be working with! Happy Sunday, everyone! Today's Sunday Supper recipe is from Gooseberry Patch. I love the Gooseberry Patch books -- lots of great recipes and gift ideas! This dish is down-home comfort food, perfect for the cold months ahead! Sprinkle pork chops with salt and pepper; brown in oil and set aside. Combine soup, milk, sour cream, pepper, potatoes and cheese; spread into a 13" x 9" baking dish. Top with onions and pork chops; bake at 350 degrees F for 45 minutes, until bubbly and golden. Hey there! Happy Saturday! 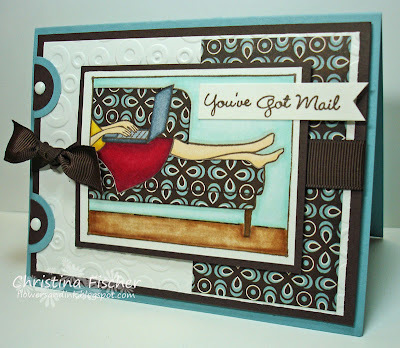 Today I have a preview of two new sets by AmyR Stamps, Amy's Wardrobe and Wardrobe Sentiments. They'll be released Monday, November 24 at All That Scraps. Amy has done a great job with the images in Amy's Wardrobe -- there is a big wardrobe furniture piece and lots of great clothing items. The sentiment set has the perfect words to go with the clothing images, plus some others, too! When I saw the apron I immediately thought of holiday baking, so I created a tag to go on some tasty holiday treats! The tag was part of a package I purchased when a local scrapbooking store was closing -- they had been used in the store to label various items, so they were packaged "as is" -- I think I got 10 tags for 50 cents, or something like that! It was already distressed with this tea-dyed look, so it was perfect to use with my Cosmo Cricket Be Good paper. I stamped the apron on Very Vanilla cardstock and cut it out. Then I stamped it again on the red dp (the reverse side of the pattern on the tag) and paper pieced it over the first apron. The bling on the pocket is Snowflake Gemstones, and I added single Gemstones to the scallops. The ribbon is SU! 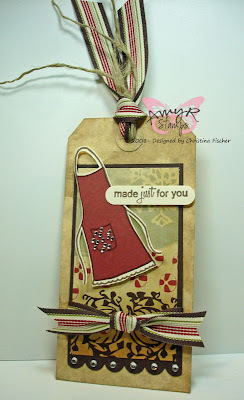 's Alpine Ribbon Originals -- I *love* it! It has a great vintage look and ties beautifully! It's my favorite item from the Holiday Mini!! I stamped the sentiment and punched it out with a Word Window punch, and I mounted the apron and sentiment on dimensionals. Hello! Today I have some very simple stamping to share with you! This weekend I am on a team giving a retreat to about 25 women. The team (18 women and 2 male spiritual directors) has been in formation for about 9 months, and I have come to really care for and admire all of them. I wanted to give each of them something, so I made these bookmarks. This design serves three purposes: it's easy to mass produce, I can write a little note on the back, and there won't be any bulk inside the book when it's closed. I did two versions -- female and male -- and the whole process probably took about an hour. I used a pre-packaged set of bookmarks I found at my LSS for 99 cents. 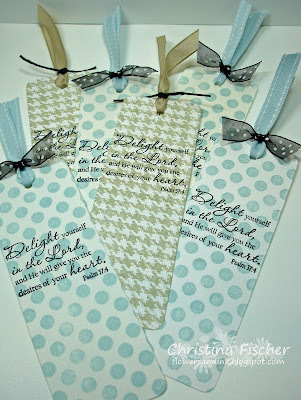 The sentiment on all of the bookmarks is one of the Plain Janes from Verve Stamps. 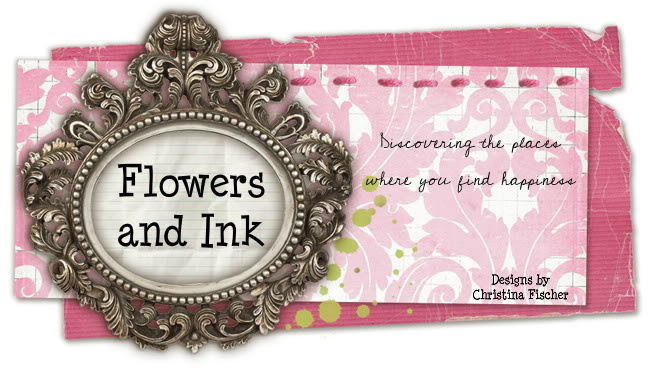 Thanks for taking a look at my simple bookmarks -- I hope it gave you some ideas for your own simple stamping! I have some posts scheduled for this weekend, so I hope you'll stop back. I'll be back Sunday evening, and then it's time to prepare for Thanksgiving!! Happy Wednesday! Today's ATS Wednesday Challenge is to use acetate. 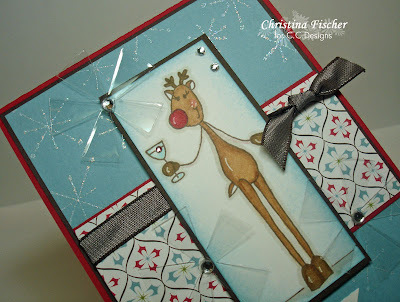 You can make a card or container out of acetate or find ways to use acetate on your project. 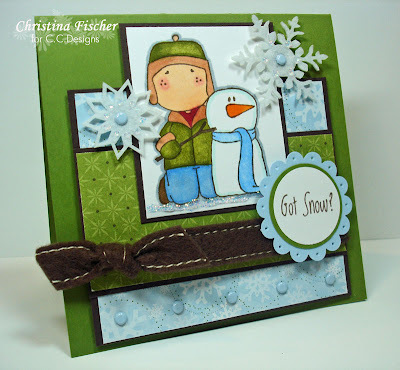 I love Heidi Swapp Ghost Shapes, and the snowflakes are so much fun to use this time of year. I got to thinking... what if I made my own? I had recently purchased a pack of write-on transparency sheets at Staples (I used one for my nutty project HERE). Well, I took my Cuttlebug and the 2" Asterisk die, and I cut "snowflakes" from one of the sheets. The sheets are thin, so it cut pretty easily. I did run it back and forth through the machine a few times to be sure it cut all the way through. There were still a couple stubborn spots, but I just went over them with my craft knife and they came out fine! I added some Gemstones to the centers and attached them with Glue Dots. I also put a couple stones in the corner of the image panel. I took one more stone, colored it with a red Copic marker, and put it in the drink for a little cherry bling! The card background was stamped with SU! White Craft ink and heat embossed with Iridescent Ice EP. I colored the reindeer with Copics and added highlights with a Inkssentials opaque pen. If you'd like to play in the acetate challenge, use keyword ATSDTC27 when uploading to a gallery. You can post your creations in the ATS Wednesday Challenge gallery HERE -- remember, Christine and Amy are always searching the gallery to find Guest Designers! Design Team challenge projects will be posted on the ATS Blog later on today, so stop by to see them! Thanks for the visit -- I really appreciate it! Have a fantastic Wednesday! Hello! Happy Tuesday! Here's my card for today's Color Challenge at SCS -- Real Red, Basic Black, and Kraft. 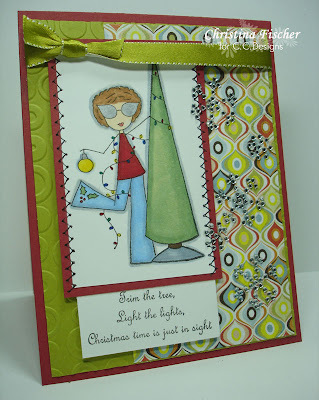 I also did the Our Creative Corner Challenge to use silhouette stamps and sparkle! I used my new Curved Rectangles Mega Nestabilities on the image and mat -- *love* them!! :) The horizontal panel is embossed with the Cuttlebug and Swiss Dots folder. I sponged the edges and added Icicle Stickles to the image. All products Stampin' Up unless otherwise noted. Anyway, since I had birthdays on the brain, I made this card for today's challenge at Cornish Heritage Farms -- using Sakura pens. I used a Stardust pen to accent the spots and pom pom on the hat of Owen the Owl. I colored with Copics and did some faux stitching around the image panel. The sentiment is from Birthday Bash. Both stamps are from the Kim Hughes Collection at CHF. Happy Sunday, everyone! I received today's Sunday Supper recipe from my sister-in-law Missy. It's an elegant and tasty side dish, perfect for holiday gatherings. Whisk together first five ingredients in large bowl. Add green beans and toss gently to coat. Sprinkle with cheese before serving. Happy Friday, everyone! I realized the other day that I haven't played with my stamps from Cornish Heritage Farms in a while, so I decided to have some fun and ink up Cartoon Turkey, from the Kim Hughes Collection. Isn't he great? I also had some fun with the embellishments, and I'm really happy with the way it all came together! Two weeks until Thanksgiving -- it's hard to believe! This little turkey has definitely put me in the mood! 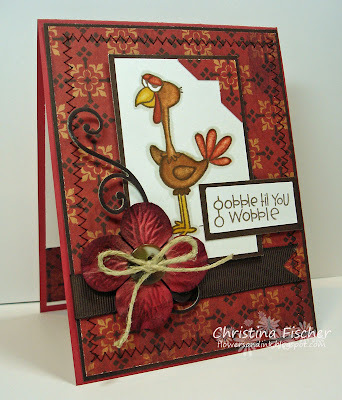 I think I'll be doing a few more Thanksgiving cards and projects in the coming days! 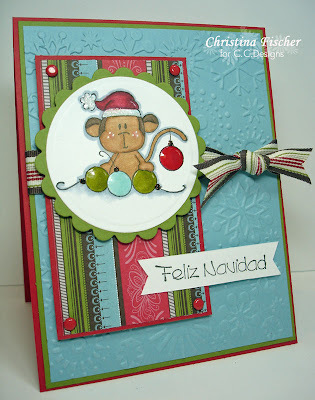 Today's ATS Wednesday Challenge is a Christmas Card Showcase! The challenge is to create Christmas cards that are simple and can be easily mass produced, so that we can get some great ideas for our Christmas cards! Do you want to see something cute and fun? 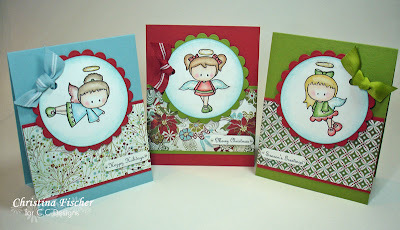 As part of Monday's ATS stamp release, Christine also created a set of angels that are digi downloads! The set is called Angels Everywhere, and you can see them HERE. For $4, you will be sent zip files containing all the images. You can open them in your program of choice, resize to your liking, and print! I used the file which has all the angels on one page -- I just used my Circle Nestabilities to cut out the ones I wanted to use! I used the same sketch on all my cards. I also kept the same color palette (Baja Breeze, Old Olive, Riding Hood Red) and used the same patterned paper collection (Figgy, of course!). Doing those things made the process so much quicker -- not too much thinking required! ;) I colored with Prismacolor Pencils blended with Turpenoid, and I added Stardust Stickles to the wings and halos. 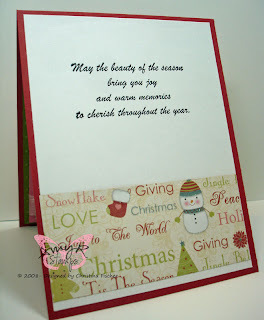 The three sentiments are from Christmas Sentiments by AmyR Stamps. I punched them out with a SU! Word Window punch and added rhinestones to the ends. If you'd like to take part in our Christmas Card Showcase, upload to the ATS Wednesday Challenge Gallery with keyword ATSDTC26. You can also check out the ATS Blog later on today to see what the Design Team created! Happy Tuesday to you! It's a good thing I cleaned off my stamping table, because my order from My Favorite Things arrived yesterday! I could not wait to ink up Who's That E-Girl?!! I had so much fun making this card! I colored the girl with Copics and paper pieced the sofa with Offbeat paper. I used circle punches and brads to make tabs on the side. 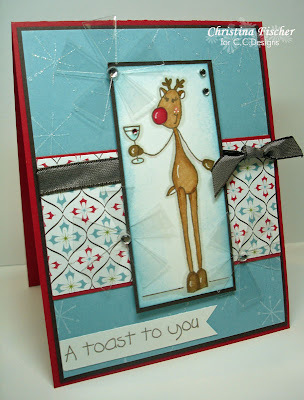 I created texture on the white cardstock with my Cuttlebug and Spots & Dots embossing folder. Thanks so much for the visit today -- have a fantastic day!! Don't forget about the new releases at All That Scraps tonight at 10:00 pm ET -- meet us at the Message Board from 8-10 for a little party before the release! Hope to see you there! I colored with Copics, drew in the ground line, and sponged the edges with Baja Breeze ink. To make the list, I cut a strip of paper, wrote the "names", sponged the edges with Close to Cocoa ink, and rolled the edges. Okay, on to the Sunday Supper recipe! It's a crock-pot recipe, perfect for this holiday time of year! Place turkey in slow cooker. Combine remaining ingredients. Pour over turkey. Cover. Cook on Low 6-8 hours. Hello, and Happy Saturday! The Glam Girls are back -- in the new C.C. Designs set Glam Girls III. There is a birthday girl, a rock star girl, and this tree-trimming girl! The layout is one of Julee Tilman's sketches from the Verve Holiday Release Sketch Blitz. I colored with Copics and did some faux stitching down the sides of the image panel. And what's a Glam Girl without a little bling? I added a few Snowflake Gemstones for some holiday sparkle! Be sure to stop by the ATS Blog to see more Glam Girls III Samples -- and find out how you can win the set! There's one more preview tomorrow, then all the sets will be available Monday night! I hope you have something fun planned today! We have our annual block party and chili cookoff this afternoon -- should be a good time! :) Thanks so much for the visit today -- have a wonderful day! I'm Nuts about Forest Friends! Hello there! Happy Friday to you! 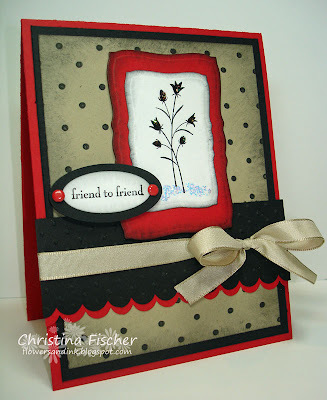 Today's preview is of Forest Friends, another new set by Jen Ofiana's Stampin' Spot Studio. The stamps include a deer, raccoon, skunk, bird, and some great sentiments, too -- but the image I wanted to work with right away was this adorable squirrel! 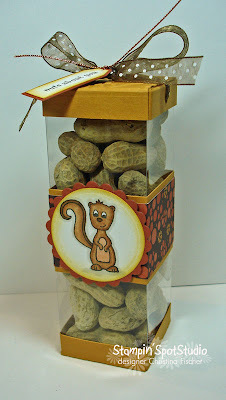 The idea popped into my head to make an acetate treat box full of nuts! 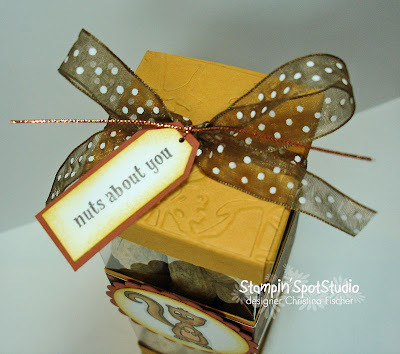 The directions for the box can be found at Splitcoaststampers HERE. I made my box 5.5" tall. I colored the squirrel with Copics and sponged around the edge of the circle with More Mustard ink. The circles were cut with Nestabilities. Just click on the photo if you want a better view! Here's a closeup of the lid and tag. I embossed the top panel with the Floral Screen embossing folder before I assembled the lid. Isn't this sentiment just perfect? It could be great for Valentine's day, too! 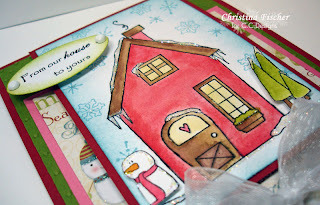 Stop by the ATS Blog to see more samples with this adorable set, and find out how you can win it! Our week of previews is nearing an end -- only two more sets left to show you! I hope you like what you've seen so far! All the sets will be available at All That Scraps Monday, November 10 at 10:00 pm EST. Happy Thursday! 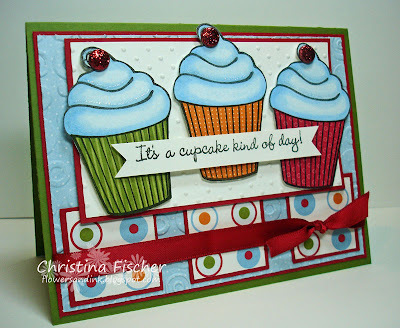 Today's preview is of the set Cupcake Occasions by Cookie Crumbs, illustrated by Diane Zechman. Cupcakes are all the rage right now, and this set is full of adorable cupcake toppers for any occasion or season! Seriously, they are SO cute! I used this week's SCS Sketch Challenge 201 for my layout. I wanted to play with all the images in the set, but I needed a birthday card for my niece, so I used this fun swirly frosting image for my cupcake top. 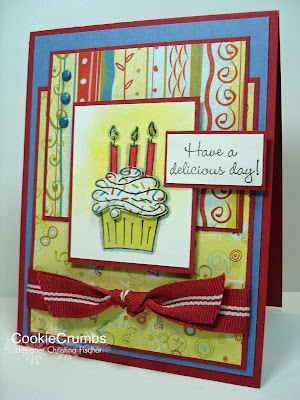 First I stamped the candles, frosting and bottom on the cardstock. Then I stamped the frosting and bottom again on the patterned paper and cut them out. I colored the candles with Copics and sponged a "glow" around them with SU! YoYo Yellow ink. Then I attached the cut out pieces, mounting the frosting on dimensionals. I added some Stickles to the candle flames for a little sparkle. Wednesday Challenge and Another Preview! Happy Wednesday! Today's ATS Challenge is a sketch by Amy Rysavy. It's a simple sketch that has lots of possibilities! The sketch was perfect for this image from the new C.C. 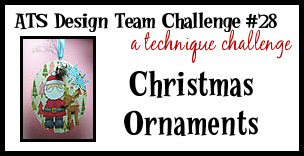 Designs set Christmas Around the World. I just love Monkey surrounded by the ornaments! There is another image of a bird on a branch with ornaments. The sentiments say "Merry Christmas" is several languages! I colored Monkey with Copics, then I added Stickles to his hat and Crystal Effects to the ornaments. I used my Nestabilities to cut the circles. The background was Cuttlebugged with the Snowflakes folder. Stop by the ATS Blog to see what the Design Team did with this set -- you can also find out how to win it! :) If you want to participate in the challenge, use keyword ATSDTC25 when uploading. The Wednesday Challenge projects can be found in the ATS Gallery HERE -- we'd love to see your creation there, too! 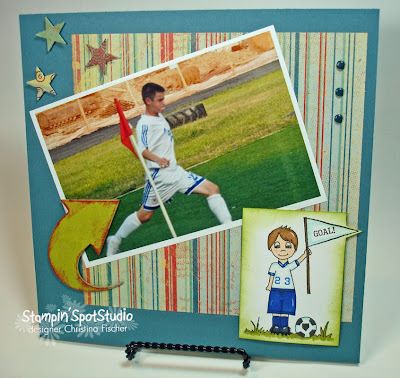 Today I'm previewing Soccer Brandon and Soccer Sadie by Stampin' Spot Studio. For my first project -- hold on to your hats -- I did a scrapbook page! This is an 8"x8" page of Kyle playing soccer. The stamps from Soccer Brandon were just perfect for it! I used the numbers from the set to put Kyle's number on the jersey, and I stamped the word "goal" in the flag. I colored the image with Copics and sponged around the edge with SU! Old Olive ink. The paper and star die cuts are from the Recess 12x12 Collection Pack by BasicGrey. I covered the chipboard arrow with ink and added a trio of SU! Not Quite Navy brads. I used Soccer Sadie to make a thank-you card for Anna's soccer coach. Her team wore red jerseys -- can you tell? ;) I used "Thanks" from Sugarplum Sentiment Set by C.C. Designs. I colored with Copics and added highlights with an Inkssentials Pigment Pen. The paper is Ski Slope, and the ribbon is Real Red striped grosgrain, both by SU!. Sunday Supper: A Tasty Side Dish! Spray 7"x12" baking dish with Pam. Place asparagus in dish. Top with combined butter and onions. Sprinkle with salt and lemon pepper. Bake, covered, at 425 degrees F for 20 minutes. Cover with parmesan cheese. Cook uncovered for another 10 minutes, until tender and lightly browned. Do you have any quick and easy recipes you'd like to share? Just email me or comment on this post. With the holidays approaching, we need all the time-saving recipes we can find! ETA: Please keep Laurie Schmidlin (Lauraly) and her family in your thoughts and prayers. Her daughter is having tests done in the hospital, and they need lots of love! See this post at SCS for more information. 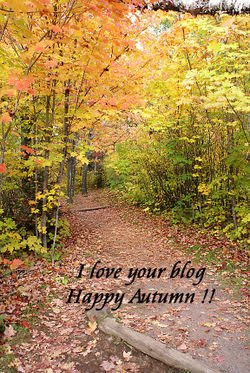 Happy Saturday, happy day after Halloween, and happy November 1st! Can you believe it's November already? It's the busy season for us papercrafters, so I'm really excited to get started on some holiday projects! We're all in a candy coma today at our house, so I don't have a card to share, but I wanted to show you a photo of my girls from last night. Megan and her friends (high school freshmen) were "neon girls" -- she did a great job putting her costume together herself, and she even painted the jacket with neon fabric paint! Anna was Junie B. Jones, her favorite book character. 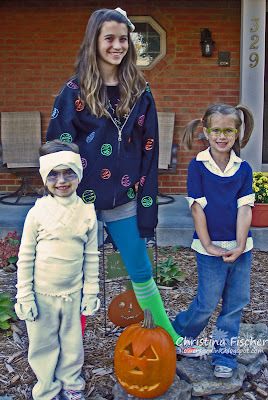 Caroline was a mummy -- and she was the cutest little mummy I'd ever seen! :) Kyle and his friends (high school sophomores) went to a party in a friend's neighborhood, and he didn't dress up. It's strange to not have them all trick-or-treating in our neighborhood anymore! Before I go, I wanted to share an award I received from my design teammate, Julie Buhler. 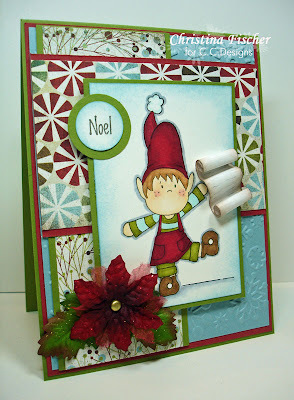 If you haven't been to Julie's blog, Paper Pleasing Ideas, you must go! She always has great ideas! Thanks for the award, Julie!